We’d like to share the words of our crewman Graham Slack. Without volunteers like Graham there wouldn’t be an RNLI. I joined the St Abbs crew not long after I moved up here from Northampton only five years ago. It is said that Northampton is the centre of England and the furthest point from any coastline. With that in mind it would seem unlikely that my family were all seafarers and fishermen, but they were and I am the first generation of my family that has not gone to sea for the past four generations, that is the last four generations that I am aware of there are probably more. My great grandfather was a fisherman he sailed out of Birkenhead to the fishing grounds off North Wales; he caught mainly white fish in those days, my grandfather worked with him. 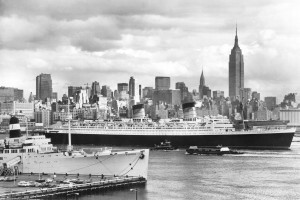 My father did a seven year apprenticeship as a chef and his first job after qualification was with Cunard on the RMS Queen Elizabeth sailing the Atlantic from Southampton to New York and my uncle was an engineer on the super tankers. In 1972 when i was still just a small child, I can remember walking in to the living room of our house to see my dad watching the television; he was in floods of tears, at first I was scared, I had never seen my dad cry before. Then I looked at the television. I saw a huge ship on fire with black smoke pouring from it and streams of water arching through the sky from firefighting boats and tugs. My dad told me that this was the Elizabeth, the ship that he had sailed on when I was still a baby, the ship that he had worked and lived on seven days a week, travelled the world and honed the skills of his trade that would support me and the rest of our family for years to come. 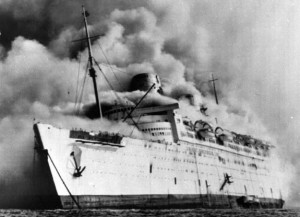 The next day the newspapers were full of pictures of the stricken Elizabeth, she lay in Hong Kong harbour a burned out smoking wreck, some say that she was the victim of a suspected arson attack in order to claim insurance, others say it was a political act the result of a dispute between the owner and the communist ship building unions. All I know is that I had never seen my dad cry before and at that age I couldn’t possibly understand his grief, or sense of loss while watching the Elizabeth burn before him. 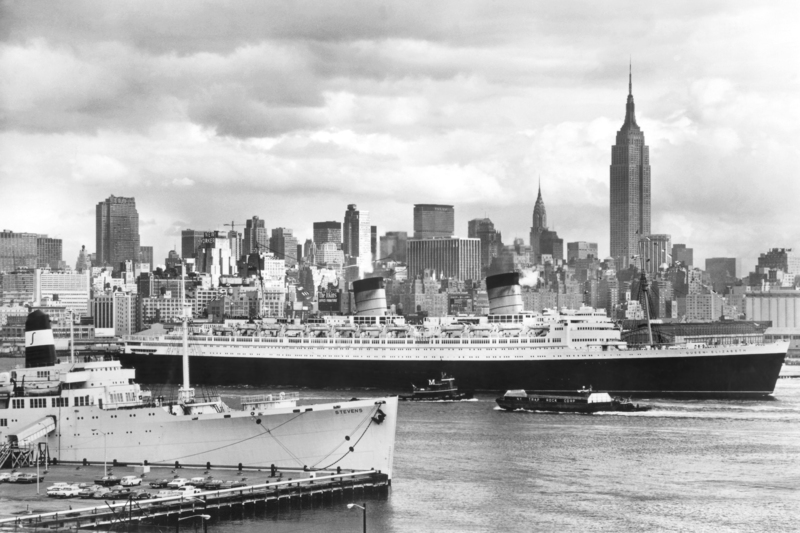 All his memories were going up in smoke his pride of serving on one of the greatest ocean liners ever built was welling up inside him and he just could not control it he was hurt and angry and unable to do anything about it. 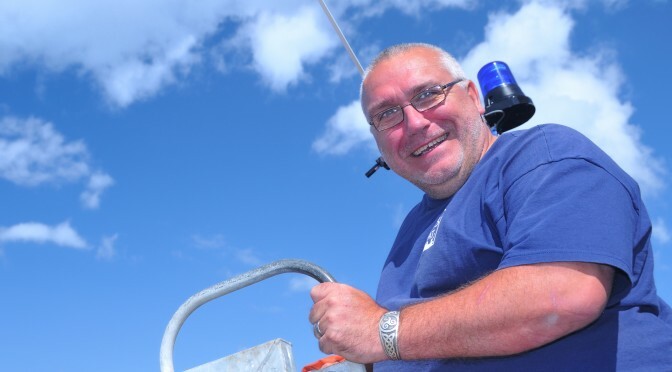 The reason that I joined the St Abbs crew was because I thought that in my own small way I could say thank you to all the generations of my family who had gone to sea before me and become a tiny little cog in the machine that saves lives at sea. Of course, I could never handle a boat like Paul or Davey, or have the years of knowledge like Alistair, but I am just as proud to stand at the winch and launch our boat, refuel it and wash it down after she has been to sea, as my father was to serve on the Elizabeth. Now, my mind goes back 42 years to our little two up two down terraced house, thousands of miles away from the Elizabeth and hundreds of miles away from the nearest coastline. I can remember my father watching his beloved Elizabeth burn before his eyes and after all these years, for the first time ever I can understand exactly how he felt. Our station is being stolen from under our very noses and it feels like there is nothing more that we can do. So many people have worked tirelessly to fight this battle but the RNLI high up in their ivory tower are standing their ground. However one thing is for certain, and that is that however they try to justify their decisions, or hide behind their board of trusties and false claims. As the clock ticks away towards the 8th of September, today’s future will soon become tomorrow’s history and we will all be proven right. However the likelihood is as we all know that some poor soul will probably have to lose their life in order for the RNLI to even consider this. We still have time yet and I know that none of us will stop the fight just because we have a closing date, but let’s take time to remember that however this ends, we can all be very proud of the fact that we have done everything that we possibly could to make the RNLI change their minds. There is an old saying “The value of the well is not known until it finally runs dry…” very apt I think, perhaps the RNLI executive would like to think this one over. You can now make your donation online. Click on the link to go to our "Just Giving" page were you can make your donation. 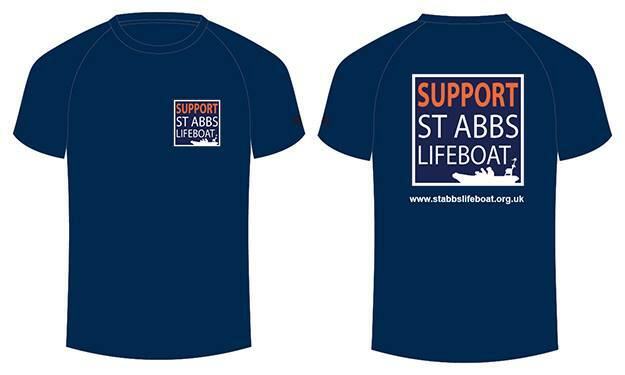 Thanks to Dunbar T-Shirt Shop you can now buy your own "Support St Abbs Lifeboat" T-Shirt, Sweatshirt or Hoodie online. 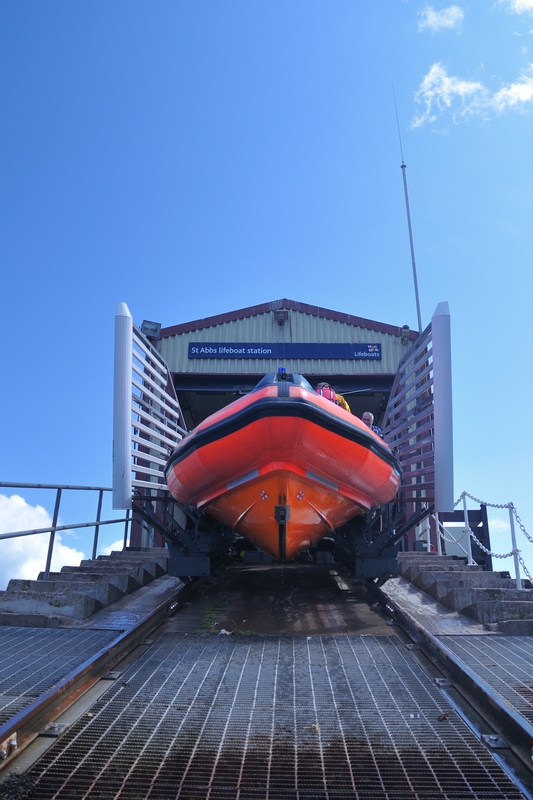 With your help we're making it happen – Saving Lives on the Berwickshire Coast. 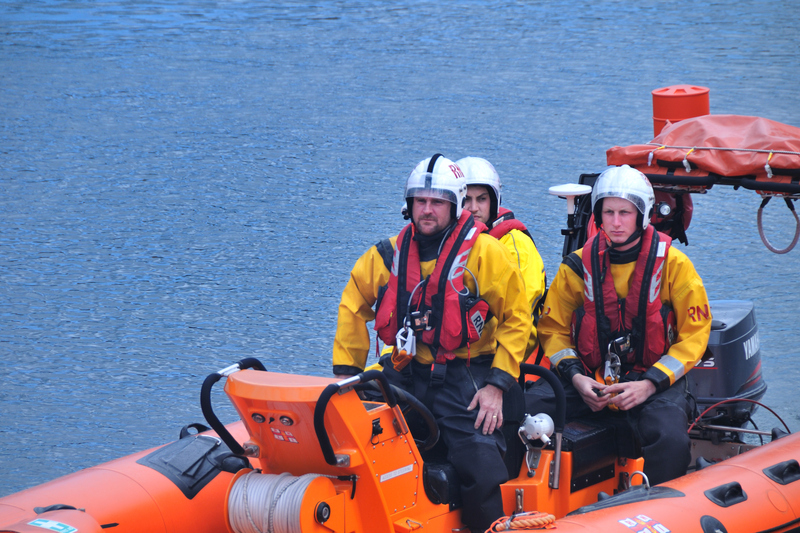 “St Abbs Lifeboat – The Crew” a book by Steve Cox. 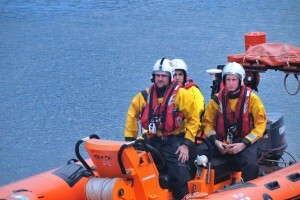 If you are sending a donation by cheque please make the cheque payable to "St Abbs Lifeboat".